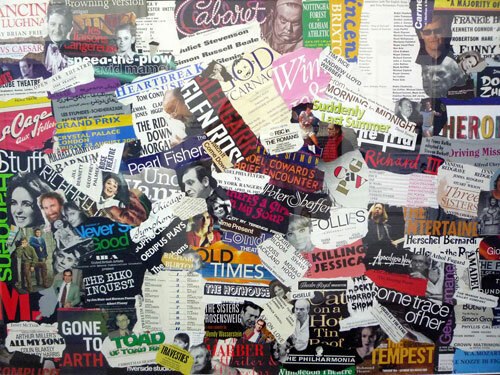 “That’s Entertainment” is a series of 6 collages torn from over 1000, theatre, opera, sports, ballet, and concert programmes, each of which I attended. Hidden in a trunk the collection grew yearly but, treasured as it was, it was rarely seen, despite offering happy memories and provoking the emotions and nostalgia associated with great and meaningful events. Many performances marked a rite of passage. Seeing “West Side Story” as a 15 year old, “Look Back in Anger” at 18, “Beyond the Fringe” as a student politician and the concert marking Nelson Mandela’s release from jail were seminal moments in my life. They invite audience participation; viewers are reminded of events they themselves attended however fragmented or imperfect. 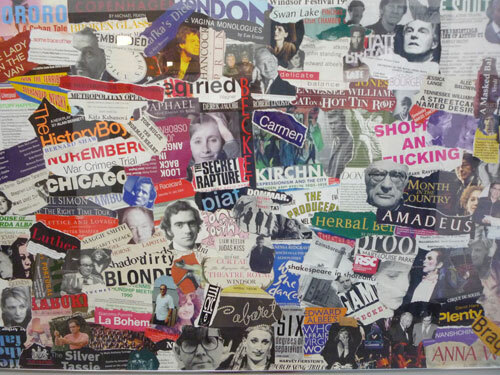 The collages provoke debate. But this work reflects more than that. The traumatic destruction of each programme, and their reincarnation as a work of art, mirrors my transformation from an international businessman and politician at age 60 and my reinvention and emergence as an artist years later. 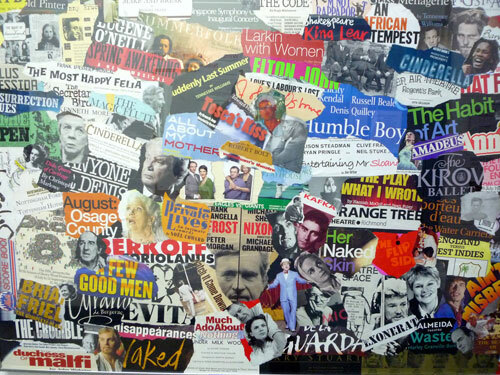 Randomly composed, each collage has incorporated traces of me. The “recycling” of this collection has been a process of emancipation both for the programmes themselves but more importantly for me as an artist. Letting go is never easy and not necessarily rewarding. It involves risk, uncertainty and courage. But without it we remain static as individuals and society at large.